If you find yourself in a similar position, there are countless reasons why re-introducing recreational reading to your life is a great idea. As I said above, I started to transform my reading habits just a few months ago, and the benefits have been significant enough that it’s easy to stay motivated. There are a range of tools I used to reawaken my love of recreational reading, and some of them might be helpful for you as well. Audiobooks. I’m not sure why, but I’ve spent the last twenty years totally unwilling to try audiobooks. Even as they became more of a fad in recent years, I was convinced they weren’t for me. Of course, when I listened to my first one a few weeks ago, I was an instant convert. There are so many moments of the day when you have nothing to occupy your mind, but it’s not possible to whip out a book and start reading–for example, when walking around campus or driving to an appointment. Audiobooks are perfect for moments like these; interesting enough to keep your mind occupied, but not so mentally demanding that you can’t focus on completing another task while you listen. 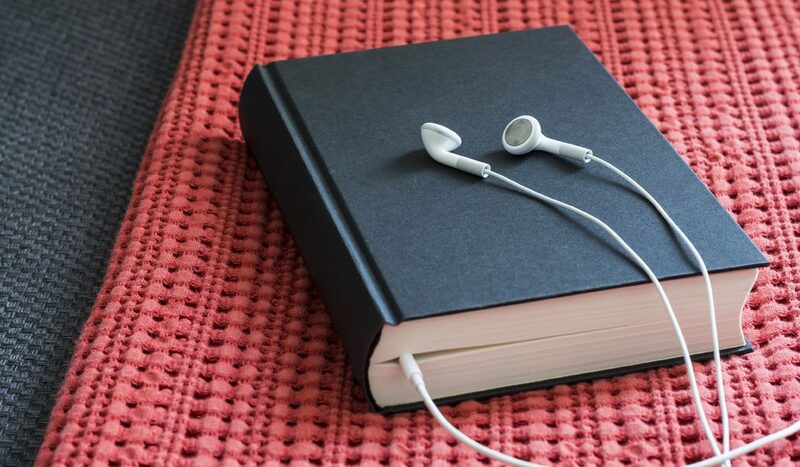 Audiobooks are perfect for people who find reading boring because skilled performers bring books to life in a way you can’t always replicate in your head. (In fact, listening to an audiobook sometimes feels like ‘cheating’ because the experience seems closer to watching a movie than reading a book!) However, they can also be amazing for enthusiastic readers who have difficulty getting through dense, confusing, or old-fashioned books. Hearing the text properly inflected and imbued with the intended emotions saves you from having to puzzle over every sentence. For example, I’ve always wanted to read the Austen novels, but found it hard to slog through the prose; after tracking down an audiobook recording of Persuasion, I devoured the entire story in a week. If you’re interested in professional recordings, Audible is a great paid service. If you’re interested in classics performed by volunteers, Librivox has thousands of free recordings of books published before 1923. Goodreads. Goodreads is essentially a social network for book lovers. Once you make a free account, you can track the books you’re currently reading, make virtual shelves to sort ones you’ve read in the past, share your thoughts on books and authors with users around the world, and much more. Being able to see what your friends are reading (and knowing they can see what you’re up to as well) creates a form of positive peer pressure and provides a great conversation starter for when you see each other in person. Furthermore, I find it motivating to have a tangible record of the time I’ve spent reading. It’s so satisfying to change the status of a book from ‘Reading’ to ‘Read,’ contribute a short review, and watch another dot pop up on the automatically-generated chart of my reading habits. Instead of finishing a book with no fanfare and gradually forgetting about it, I know I can revisit my ‘Read’ list whenever I need to remember my thoughts on a particular author’s work or find a good recommendation for a friend. As great as all these features are, though, the best part of Goodreads is definitely the Recommendations function. The site’s algorithms analyze your reading habits and your ratings in order to generate a personally-tailored list of books you’re likely to enjoy. Often, the biggest obstacles to reading regularly are not knowing what to read or reading too many disappointing books in a row. The site’s recommendations minimize this problem by pointing you in the direction of great stories you might never have come across otherwise. Book Clubs. I’m under the impression that when most people hear the term ‘book club,’ they think of a formal gathering of at least a dozen people discussing a lengthy, serious book they’ve all read. However, that definition doesn’t encompass even a fraction of the forms a book club can take. When I was just getting back into reading, my girlfriend and I started a book club of two where we would choose a YA novel that interested both of us and read it at the same time, triggering lengthy discussions about what we liked and hated in each book. Even though we did the actual reading on our own, this approach turned reading from a solitary pastime to the start of a social activity and made me much more eager to make my way through new novels. Book clubs also don’t have to involve ploughing through novels you find boring just because they’re the pick of the month. For instance, I’m currently involved in an online book club where a new theme is assigned every week and each member reads any book they like that satisfies that theme. Themes so far have included everything from ‘Books Set in the 1600s’ to ‘Books with Unreliable Narrators’ and ‘Books by Authors named Abigail.’ This wide-ranging set of themes have led me to some fascinating books I would never have otherwise discovered. It may be that none of the options above sound like your thing, but that’s perfectly fine–the great thing about book clubs is that they can take any form you find appealing. The membership can range from just yourself to thousands of internet strangers, and the books you read can follow an extremely specific theme or be chosen at random. The only guaranteed element is that members will find themselves more motivated to read and enjoy a range of other benefits. If you’re hoping to revitalize your reading habit, try taking a bus ride with an audiobook, setting up an account on Goodreads, or dropping by an interesting local book club. Some of these tools might work better for you than others, but they’re all worth a try!